Will the properties belonging to the family of MP Varazdat Karapetyan also be expropriated? At the press conference on March 19 Prime Minister Nikol Pashinyan announced that practical steps are going to be made to return the lands, privatized in the past, to the government and the public. Pashinyan then called upon the oligarchs “to return the looted properties”. “We asked them in a civilized manner, they rejected the call. We said OK. We have got acquainted with the details of every deal and already certain criminal cases are filed and investigations launched. No doubt it will be proven that certain violations had taken place”, - PM Pashinyan said at the press conference. Varazdat Karapetyan – the chairman of the parliamentary standing committee on regional administration, local self-governance, environment and agriculture and member of the “My Step” faction – held an interview on the matter. Expressing himself on the issue of voluntarily relinquishing the rights of the current owners of the lands in question, he said in particular: “If we get few examples of voluntary return (of lands) or non-voluntary return, I think, the process will start and people will understand that in cases of refusing to return voluntarily some forceful return mechanisms will also be considered. So, I think yes, when we have examples (of return), that will accelerate the process of voluntary return”. In the above two quotes we have a enough threats voiced. The PM is sure that if a case or investigation is launched, certain violations will “no doubt be proven”, while his former advisor and current MP Varazdat Karapetyan is convinced that “forceful return mechanisms” will be discussed. The process of privatization in Armenia in general, and in particular the privatization of land and manufacturing enterprises, as well as state properties, did not go fair. It’s a common knowledge that every incumbent official used his power and authority to get privileges and used that, as a rule, to maximise his private assets or capital. The size of the capital has always been in sync with the office the person held. The driver of the judge used to buy cars from the auction, the head of administrative district would get leasing or rental agreements of public spaces in the office building for 99 years, the minister would privatise an entire administrative building, etc. Everyone would use their power to benefit. Everyone according to their own power. There is no lack of officials who succeeded in get the ownership rights of an entire mountain or gorge. Clearly, there wont be any difficulty in expropriating all this, if such tasks are set, especially with the help of law enforcement units. The judges are no more making decisions on phone calls, are they? But this is a dangerous path to embark on. Since if we decide to do this, we will have to go back in time endlessly and put question mark on everyone’s property rights. We will not rule out the possibility that both Nikol Pashinyan and Varazdat Karapetyan may imply that their public statements do not contain any threats and that they only made a call to return “what had been looted”. We cannot exclude this. But in this case an suggestion comes up. What if Varazdat Karapetyan becomes the pioneer in voluntary return of properties and set an example of appropriate behavior to the rest. On the shores of Lake Sevan, in the territory of Chkalovka community, there is “Bashinjaghyan” guest house. It is a relatively comfortable and well-done tourist center, that is attractive to those tourists going to Sevan. The guest house has been built and is operated by “Tsovatsots” LLC, which, according to the State Registry data, belongs to Azat Karapetyan. The latter registered his company 18 years ago, in February 2001, yet its most attractive business dealings started only recently, some 3-4 years ago. Interestingly, Azat Karapetyan’s business started to flourish right at the time when one of his sons – Yervand – served as village mayor of Chkalovka, and the other son – Varazdat – served as the director of National Center for Small and Medium Enterprise Development, which is a government agency. Of course, it’s theoretically possible that any average villager in Chkalovka could build up a tourism center, but the fact remains that only Azat Karapetyan succeeded in doing that, since his competitive edge was the greatest, given the public offices his sons held at the time. Clearly, no procedural problem could be mentioned here. Most probably, the rental agreement of the community-owned land was in place, the results of environmental and urban development expertise have been positive, the business plan for the project was good, the construction of the center and other aspects have been formally in sync with the Armenian relevant legislation. Yet we live in Armenia and clearly understand how such mechanisms work. 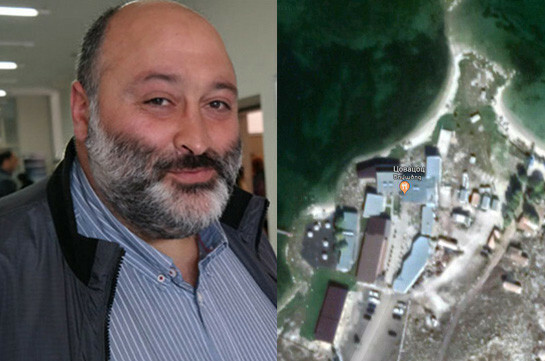 If there is regime change again, and if the new authorities decide to go forward with a similar line of thinking as Varazdat Karapetyan does, they will no doubt reveal that, for example, the auction for the land renting was held in violation of norms, and the construction on the shores of Lake Sevan was in gross violation of the set norms. Of course, the property owner will insist that the main buildings are above the 1905 meters mark (as required by law), but nothing will prevent the future prosecutor to prepare expert conclusions and show that the areas around the shore have been artificially filled with landmass to bring the level to the 1905 meters as required by law. What is important – to have the will to do so. Interestingly, the brother of Varazdat Karapetyan, Yervard Karapetyan, who had been elected without problem as village mayor of Chkalovka before, lost the elections in Fall of 2016. Two to three months before the electoral loss “Tsovatsots” LLC had received the due permissions from the Ministry of Environmental Protection to start the construction of the site. Judging from what happened after, the Chkalovka residents just “rejected” Yervard Karapetyan for the privatization of the village-owned lands. 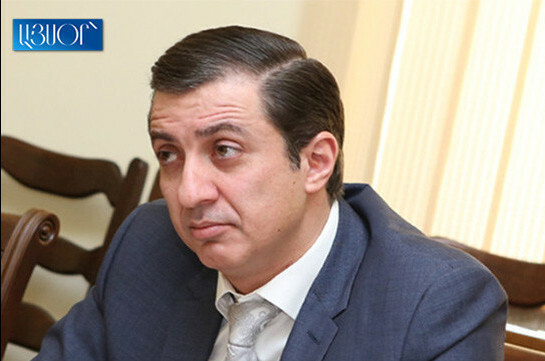 What is the connection of Varazdat Karapetyan with the “Bashinjaghyan” tea and guest house – one may ask the Chkalovka residents. Those more honest and straight among them will no doubt tell that exactly Varazdat Karapetyan had been the author of the idea and the coordinator of the construction project.